If you are looking top eCommerce website development companies for your ecommerce business services. 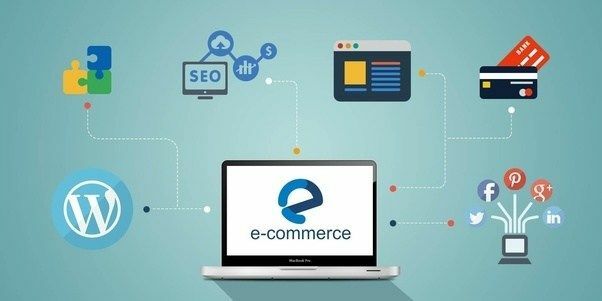 Here is a list of companies which have top eCommerce developers. In the world many top web companies are working in each county and India is the big centre of eCommerce website development companies. Between these companies what is the right company for your business website it is highly difficult to find in eCommerce development services. We have research client’s reviews and make a company’s list to help potential eCommerce web clients. If you are from eCommerce web development you can share your client reviews with some proof to add your company name here. You can contact us by inquiry form. Cyber infrastructure is designed to take business to the next stage, reducing the gap of your success. It has 12+ years of experience in the field of IT. They have again and again delivered optimal solutions to all global clients. CMMI Level 3 certified company with ISO 9001:2015 Certification. They have an active Drupal Association Member. IndiaNIC is working with Mobile Apps Development, Custom Web Development, Ecommerce web development, Enterprise Solutions. They have been working with popular web technologies, empowering your apps / Io devices. A Consaqous technology is a Web and Mobile app Development Company in USA, India, UK, Australia founded in 2008. They delivering efficient and software solutions across various sector Healthcare, Banking, Education, Logistics etc. Icecube is a leading eCommerce web design & development and mobile app development agency. They have experienced team with successfully deliver Magento, WordPress, Woocommerce, PHP and mobile app projects. If you are looking for agency who can handle your web project and find best company for you for successful delivering of your ecommerce web projects, you can contact us we will here to assist you or can work for you in cheap cost. To get more news on web design & development services, subscribe us or looking for advertise your website design company, inquire now.